Charming home located in a Spring Trails neighborhood that exudes Norman Rockwell charm! AND best part is in 2018 added: new roof, new AC with zone for the 2nd story, full gutters & a new fence. High & dry!!! 1.5 story home could be a double master too. 1/2 story up complete with a full bathroom, storage & walk-in closet. Perfect for a game room or bedroom - versatility! Back on the main floor you'll find your master suite plus two bedrooms down. 4 full bathrooms in this home so each bedroom is located conveniently by the baths. Study with French doors & a formal Dining Room. Not to mention your large living area - open to the kitchen & eat-in. Abundant natural light. The heart of the home overlooks the cocktail pool out back. No laps here, but a great spot to cool off in the summer. Come & see why this home will capture your heart - starting with the curb appeal/front porch, continued with the versatile layout and capped off with the updates. It will impress!!! Directions:I45 to US99 Eastbound to Riley Fuzzel Exit. Enter main entrance to Spring Trails Subivision. Right on Spring Trails Ridge. Right on Jackson Springs Ln. Right on Ryans Ridge. House on your right. SchoolsClick map icons below to view information for schools near 28318 Ryans Ridge Ln Spring, TX 77386. Home for sale at 28318 Ryans Ridge Ln Spring, TX 77386. Description: The home at 28318 Ryans Ridge Ln Spring, TX 77386 with the MLS Number 33786875 is currently listed at $315,000 and has been on the Spring market for 73 days. 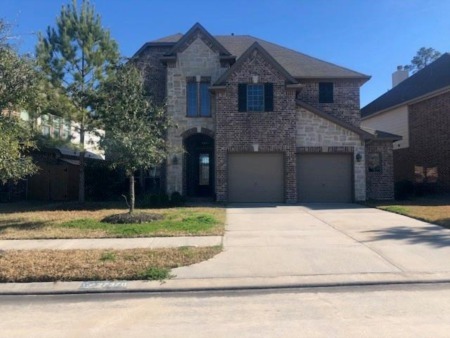 You are viewing the MLS property details of the home for sale at 28318 Ryans Ridge Ln Spring, TX 77386, which is located in the Spring Trails 07 subdivision, includes 4 bedrooms and 4 bathrooms, and has approximately 2790 sq.ft. of living area.